I love reading the old stories of how God used so many vessels we would look at as unworthy to accomplish His will. And I love the stories of the women in Jesus’ lineage. 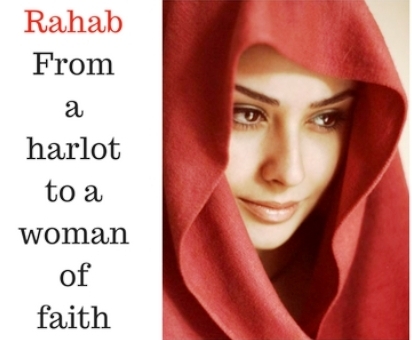 Rahab was one of those women! She was clearly an intelligent woman who showed a remarkable knowledge of the recent history of Israel, and of what God was doing for the Israelites when they drew near to her country. In fact, she seemed more aware of God’s intervention for Israel than Israel was. Compare – Joshua 2:9-11 “And she said unto the men, I know that the LORD hath given you the land, and that your terror is fallen upon us, and that all the inhabitants of the land faint because of you. For we have heard how the LORD dried up the water of the Red sea for you, when ye came out of Egypt; and what ye did unto the two kings of the Amorites, that were on the other side Jordan, Sihon and Og, whom ye utterly destroyed. And as soon as we had heard these things, our hearts did melt, neither did there remain any more courage in any man, because of you: for the LORD your God, he is God in heaven above, and in earth beneath.” to Joshua 1:2, 11, 13 “Moses my servant is dead; now therefore arise, go over this Jordan, thou, and all this people, unto the land which I do give to them, even to the children of Israel…Pass through the host, and command the people, saying, Prepare you victuals; for within three days ye shall pass over this Jordan, to go in to possess the land, which the LORD your God giveth you to possess it…Remember the word which Moses the servant of the LORD commanded you, saying, The LORD your God hath given you rest, and hath given you this land.” She also had wisdom enough to obtain an agreement for protection from the spies, hid them, and out-smarted her own people when they came looking for them. It took a lot of guts for Rahab to help the spies and arrange the deliverance of her entire family. Her siding with the Israelites was treason, punishable by death, not only for herself, but also for her whole family. Once she made her decision, there was no turning back. We can see Rahab’s first confession of faith in her use of Yahweh’s name. Without any support or input from her world or Israel’s, she claimed the covenant name God gave to Moses when the Israelites first left Egypt – Exodus 3:14 “And God said unto Moses, I AM THAT I AM: and he said, Thus shalt thou say unto the children of Israel, I AM hath sent me unto you.” Then again, without any encouragement from others, she acted on her commitment by hiding the spies. This kind of faith was not often seen in God’s own people in the Old Testament, let alone from a Gentile harlot! It makes me think that Rahab had come to know the God of the Israelites and had a relationship with Him, even if it began out of fear for herself and her family. This is another great testimony to how valuable EACH and EVERY soul on earth is to our Lord God Jehovah! He would that NONE should perish! I like to search things in God’s Word from time to time at a place called the Blue Letter Bible. Today it was on my heart about sharing His holiness and why we hold Him up on high instead of bringing Him down to our level where we are comfortable, and doing that in a kindly, loving fashion. I found this devotional there and WOW, did it ever speak volumes to my spirit. Those who serve God acceptably must do so by grace. 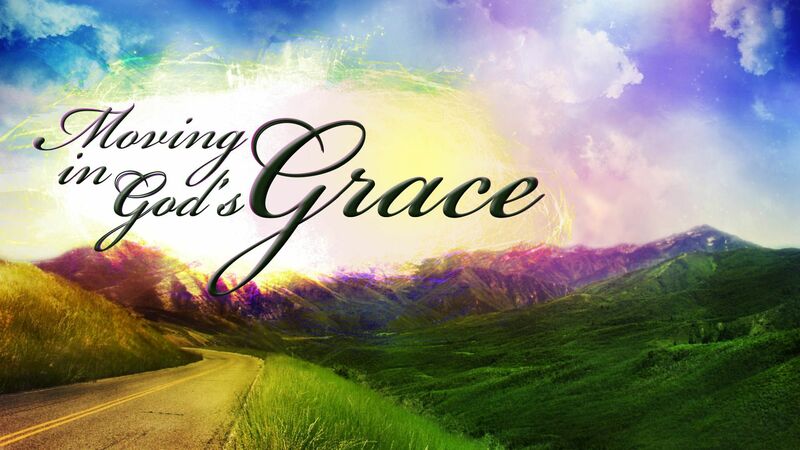 “Let us have grace, by which we may serve God acceptably“(Hebrews 12:28). Those who serve by grace find that the boldness of grace develops in their lives. The early church gave testimony to this reality. Soon after Jesus’ ascension and the outpouring of the Holy Spirit, the disciples were boldly proclaiming Jesus throughout Jerusalem. This was extremely aggravating to the religious leaders: “being greatly disturbed that they taught the people and preached in Jesus the resurrection from the dead” (Acts 4:2). When they arrested the disciples, Peter boldly preached Jesus before the Jewish authorities. “This[Jesus] is the ‘stone which was rejected by you builders, which has become the chief cornerstone.’ Nor is there salvation in any other, for there is no other name under heaven given among men by which we must be saved“(Acts 4:11-12). This bold application of prophecy and proclamation of the gospel astonished the religious establishment. “Now when they saw the boldness of Peter and John…they marveled“ (Acts 4:13). Yet, in their hardness of heart, they further threatened the disciples. This is the boldness of the new covenant of grace. “Therefore, since we have such hope, we use great boldness of speech” (2 Corinthians 3:12). This hope is new covenant confidence. It is part of the abundant life that God brings to us by His Spirit of grace: “who also made us sufficient as ministers of the new covenant, not of the letter but of the Spirit; for the letter kills, but the Spirit gives life“(2 Corinthians 3:6).